Nazi-smashing fun in the spirit of old-time comics. 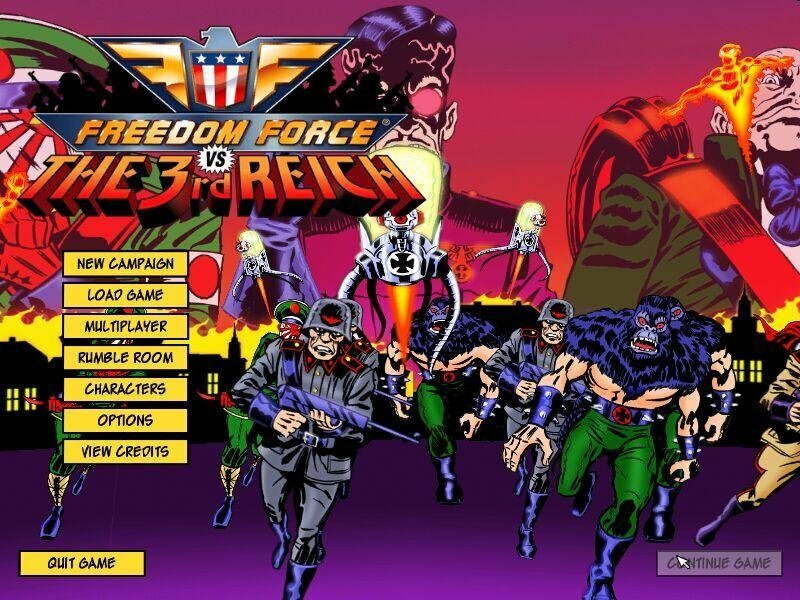 Like its 2002 predecessor, Freedom Force vs The Third Reich (essentially Freedom Force 2) does a tremendous job of evoking the spirit of old-time comics, through a cheery personality and a range of characters and powers that enable RPG-like action. 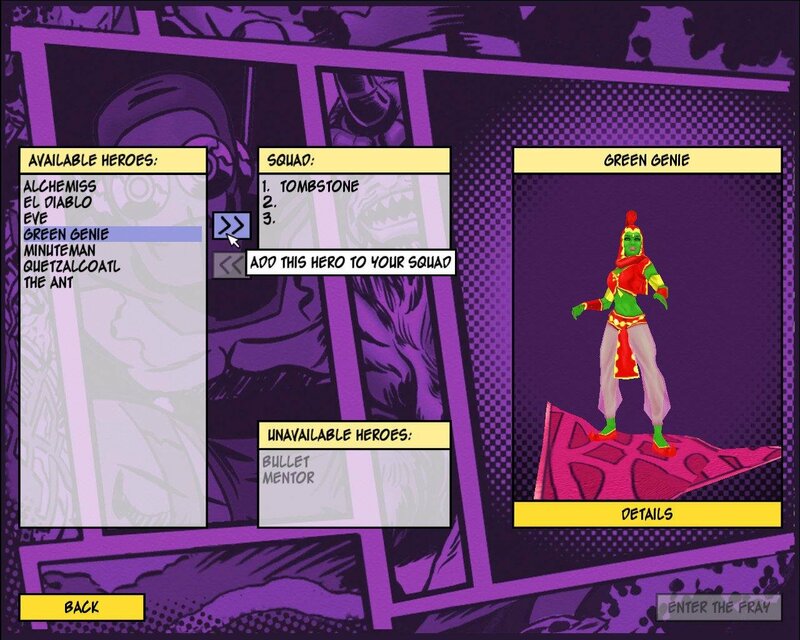 Just like the original Freedom Force, this is a squad-based strategy game aimed at comic-book geeks, by comic-book geeks. In a big way. So big, in fact, that a banner stating something like “You need to have 2,000 comics in your closet at home to appreciate this game” wouldn’t be out of place on the box cover. 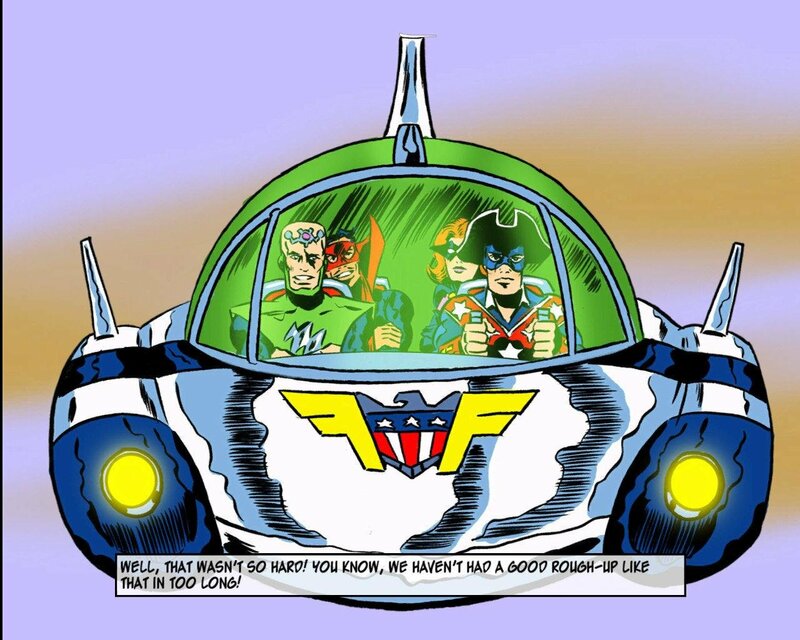 Still, it’s all great fun hat bounces between the Golden and Silver Ages of comics, and includes all manner of superhero pseudoscience. 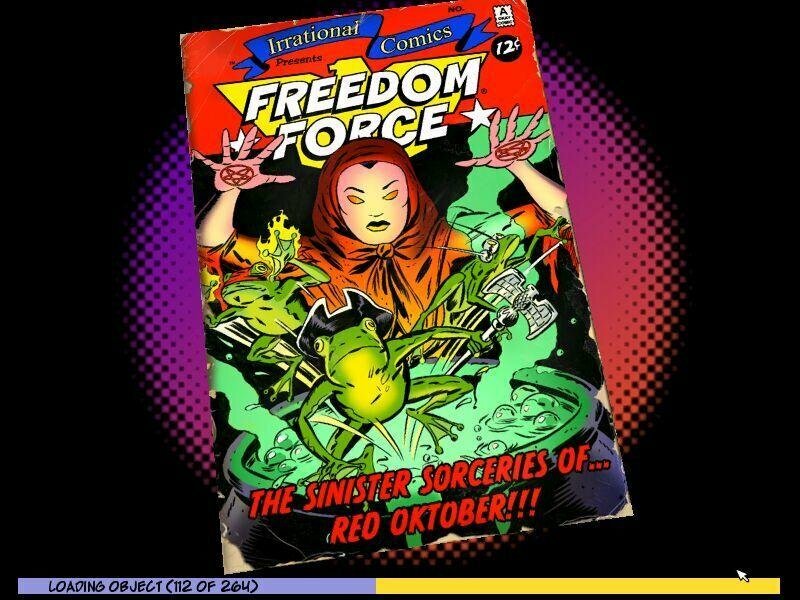 While the lengthy solo campaign begins by picking up where the last game left off, with Freedom Force’s champions of democracy defending Patriot City from Communists in 1963, soon the heroes are facing an older menace—Nazis! 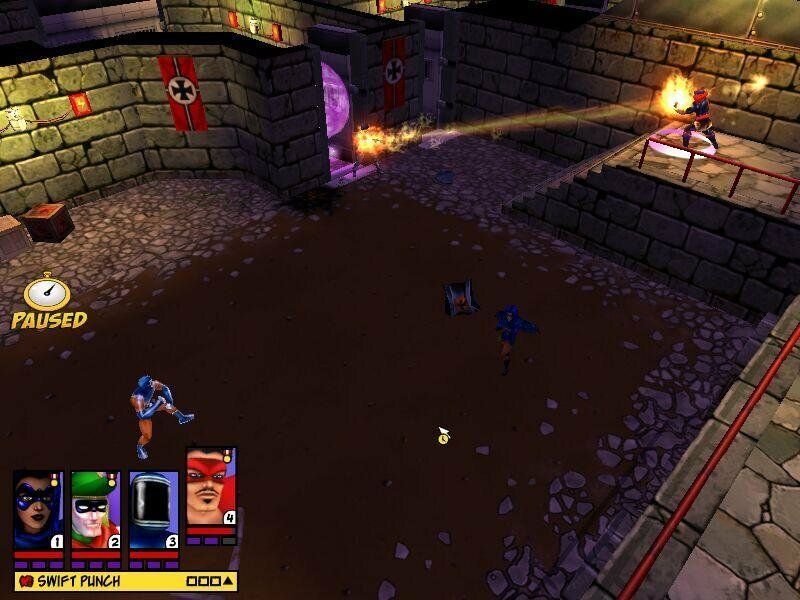 A time-travelling National Socialist supervillain named Blitzkrieg (chuckles) has used superpower-creating Energy X to allow Hitler’sgoons to win World War II. 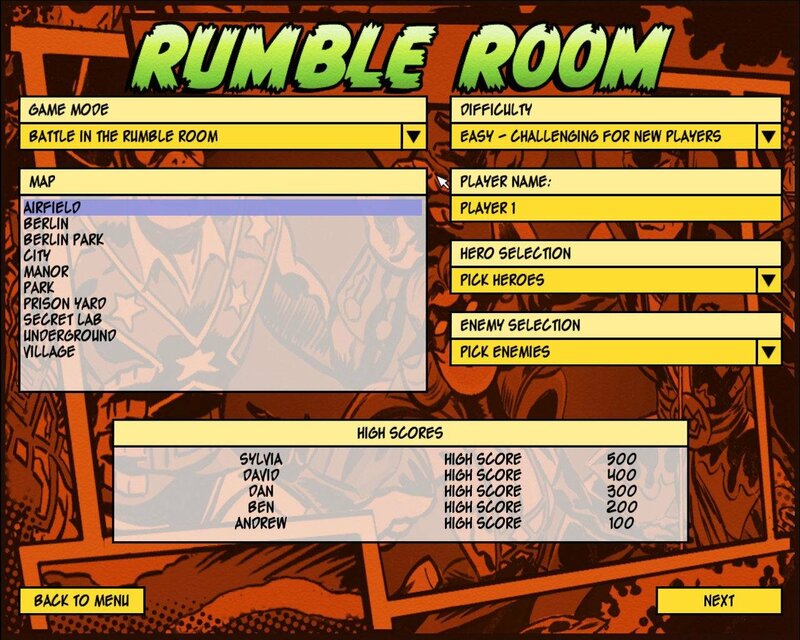 It’s exactly the kind of zaniness you’d expect in a Freedom Force game. At its heart, the story is an understandable excuse to smack Nazis. But some significant differences separate the Silver and Golden Age heroes in The Third Reich, though. The artists had drawn the origin movies for the WW II heroes in 1940s style. Sparse facial features, stark black lines, barely-there backdrops, and big dots denoting the crude printing process of the time separate the comic-book eras and provide two distinct superhero styles. Most won’t notice, but it’s a nice attention to detail. Also, the Golden Age heroes are average guys with nifty gadgets. Brit Blackjack, for instance, is a marksman who tosses acid-dipped playing cards. Frenchwoman Tricolour is a former Olympic fencer who still flashes the blade. 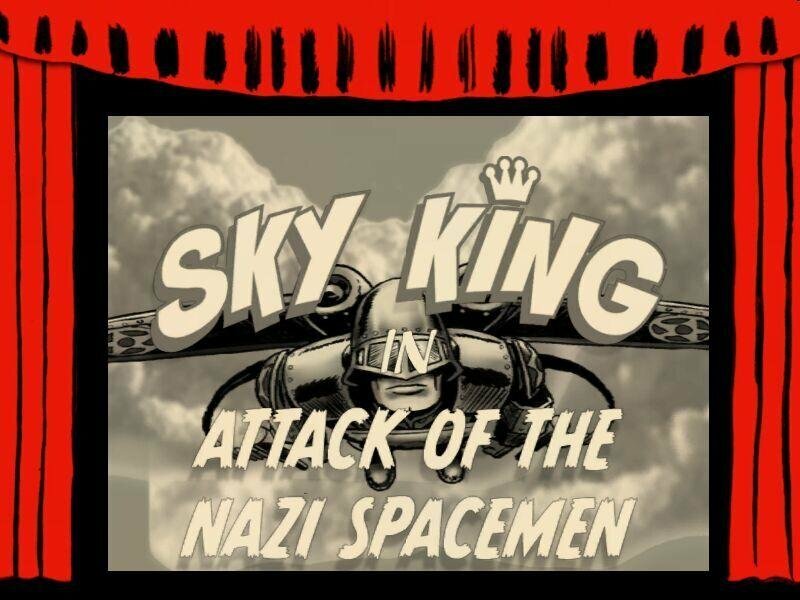 American Sky Pilot is a former Hollywood star who altered his movie jetpack to fight the Nazi menace. Because of these limitations, the old-schoolers are underpowered, especially when it comes to taking on Energy X-powered Axis supervillains. Japan’s Red Sun, who can create explosive duplicates of himself, and Italy’s Fortissimo, a tenor whose high notes can break glass and bones, can do a number on heroes who simply shoot fast and twirl a sword. 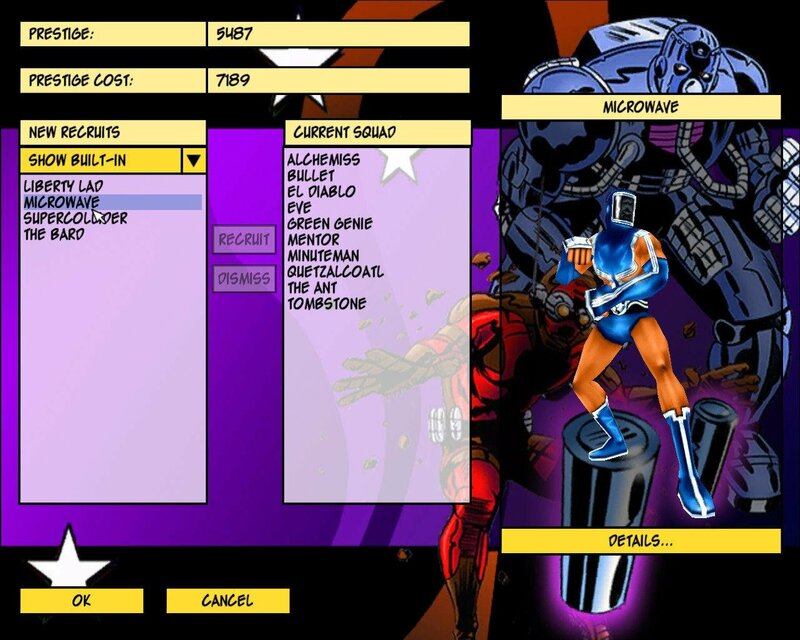 This does add strategic depth, though, as tactics have to blend these modest talents with Freedom Force’s superpowers. 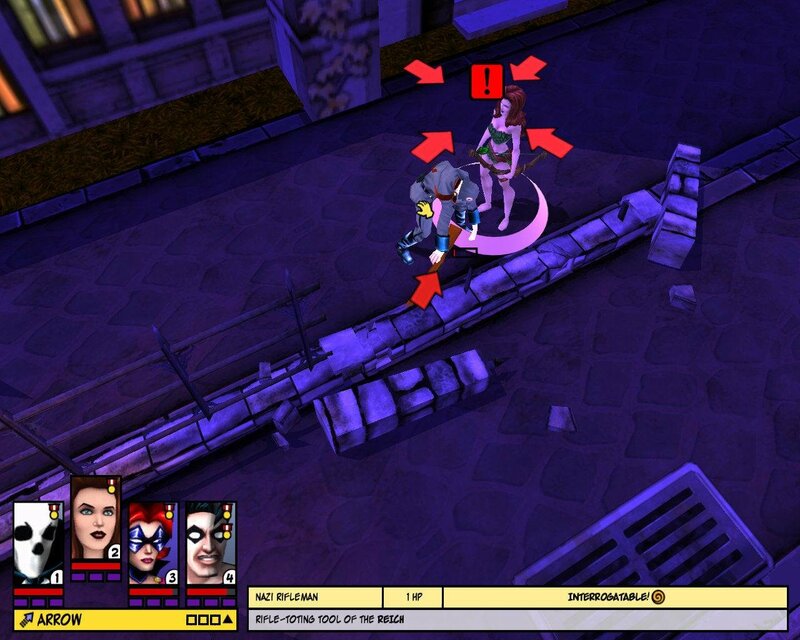 In some missions, you need to use the likes of Blackjack and Tricolour to fend off grunts while heavyweights like Minute Man and Bullet deal with the supervillains and powerful new foes. Other than the above, The Third Reich is very much a conservative sequel. 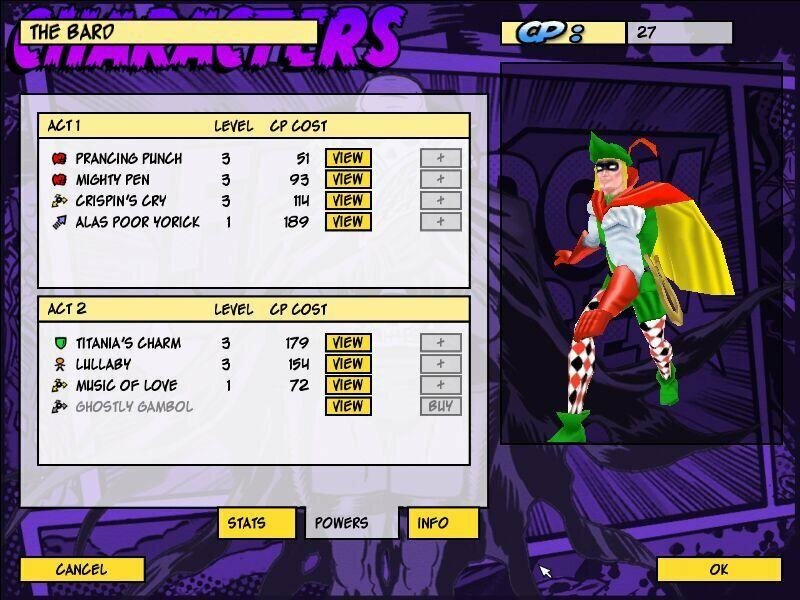 Heroes have most of the same powers that they did in the first game, but they have been balanced better so that you can’t run the table with the likes of Sea Urchin. 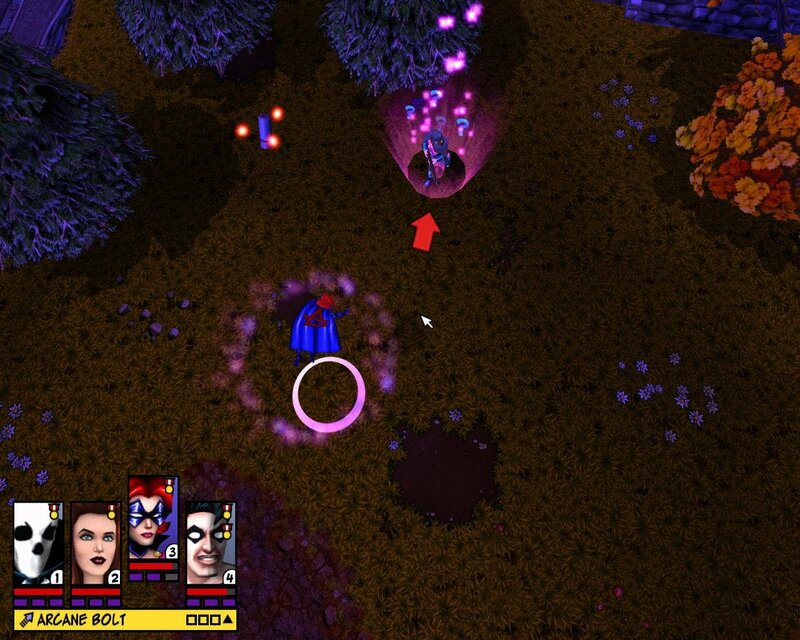 New lighting effects enhance the appearance of beam weapons and powers like El Diablo’s wreath of flame. 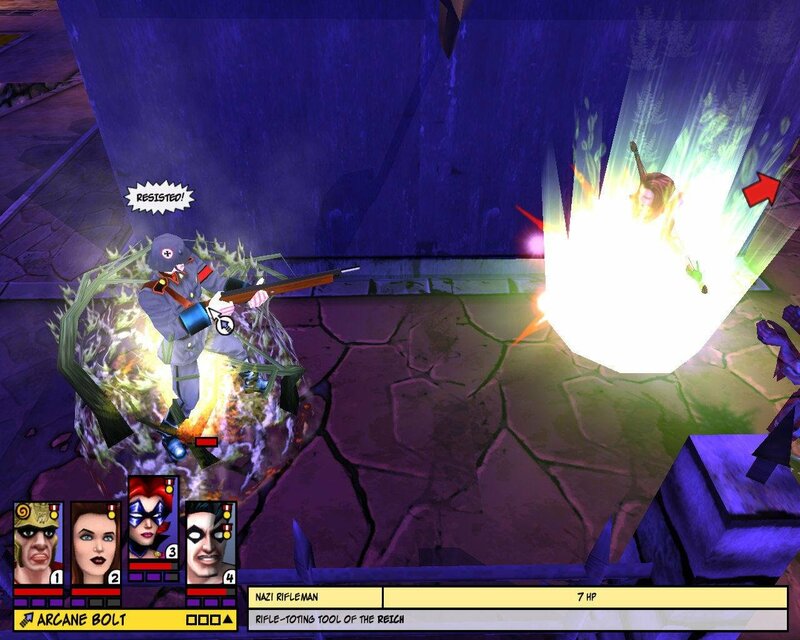 Missions are still structured as comic issues, requiring standard superheroics that range from smashing stuff to beating up a big bad. 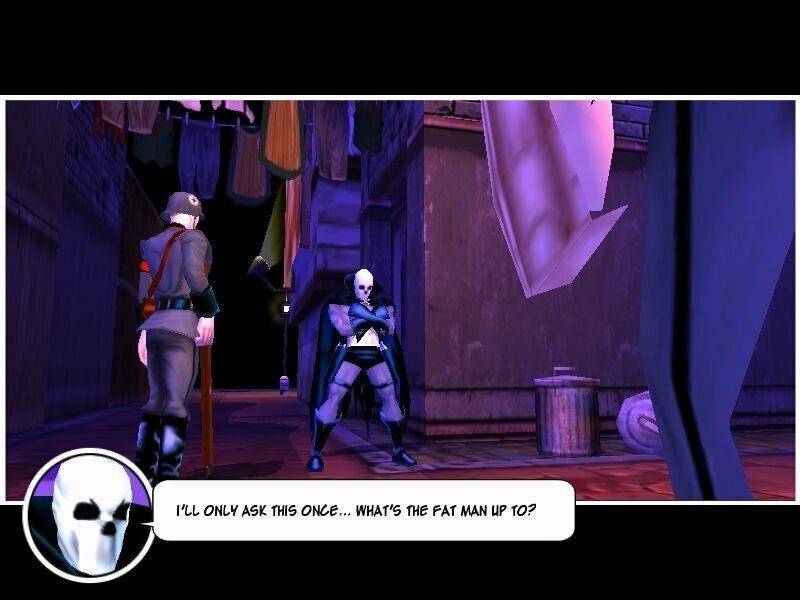 Destructible locales are nicely varied, with adventures taking you from sunny Cuba to the streets of Berlin. 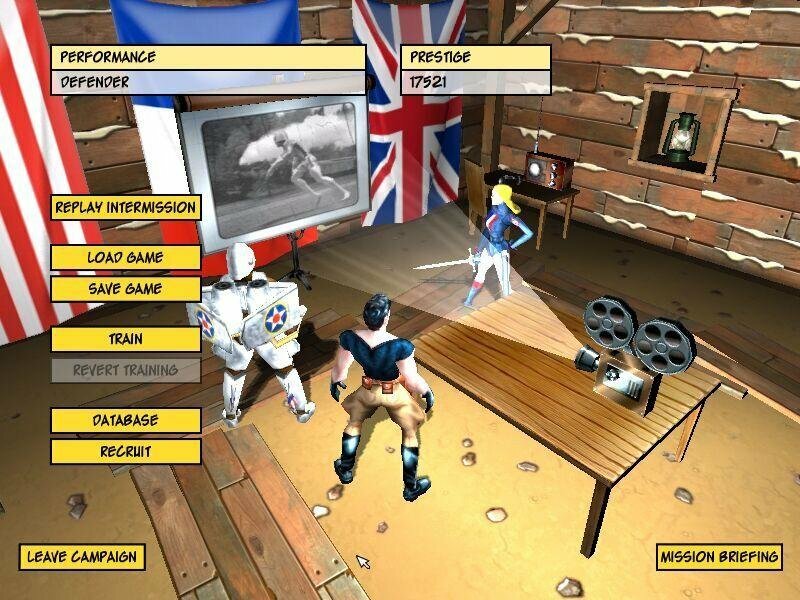 Real-time gameplay works just as it did in the first Freedom Force, albeit with refinements. 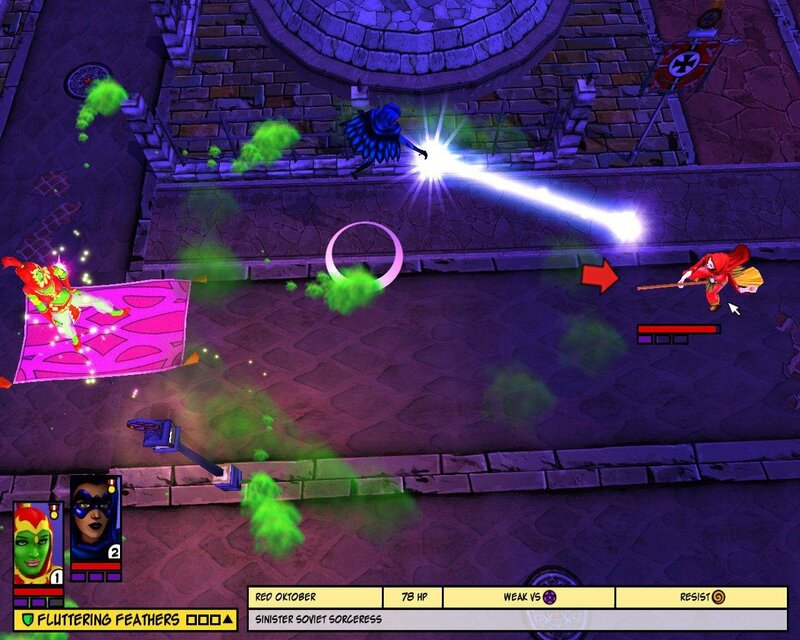 Heroes now defend themselves if attacked, although the artificial intelligence cuts out for good in a battle as soon as the player takes control of a character. Three energy bars have replaced the single bar from the original game, so you can tell at a glance if heroes have enough juice to activate a power. Heroes now have core no-cost abilities that can be used on demand. This bumps up action at the expense of strategy, as heroes can whale on baddies without considering energy conservation. Still, this change is a net positive, because it allows you to sail through battles with common thugs that got tedious in the original game. And no-cost powers don’t remove the need for planning, since enemies remain vulnerable to some attacks and invulnerable to others. 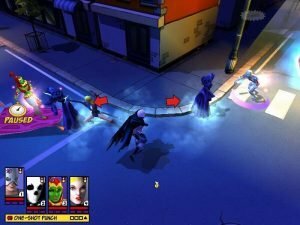 There are three new Silver Age characters available for missions, but they blend in so seamlessly with the original roster that it’s hard to tell rookies from veterans. 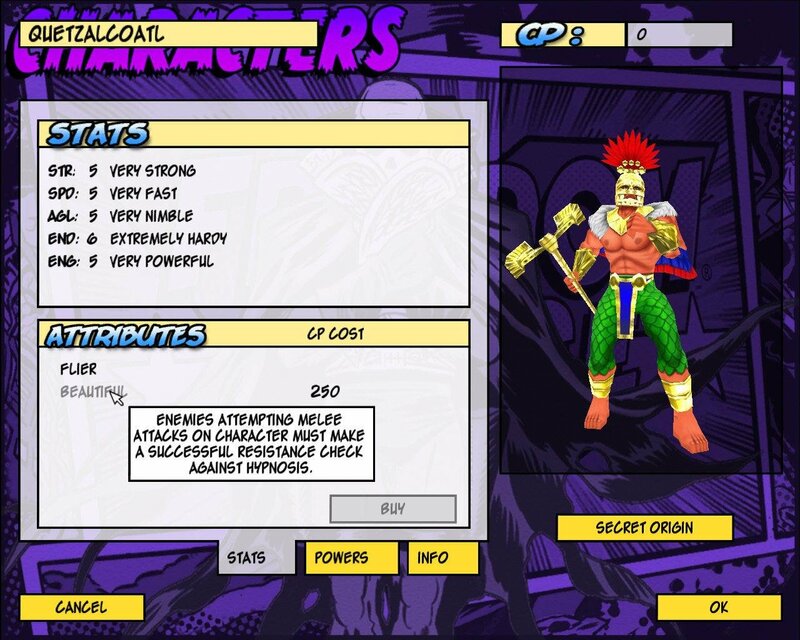 An electric-chair origin and the ability to possess opponents make Tombstone the most useful of the trio, although that’s not saying much because Quetzacoatl is a lame Aztec Thor and Green Genie a wimpy shape-changer. 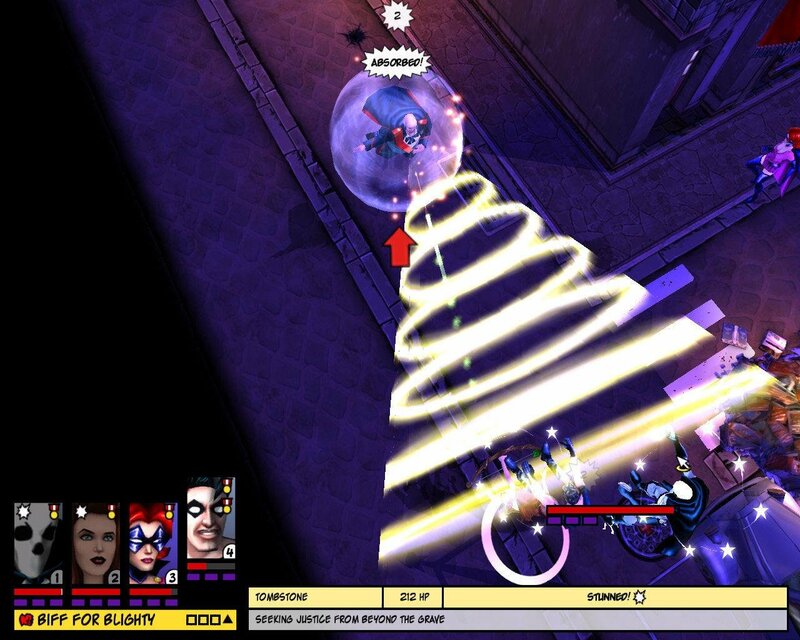 Unless you’re forced to take them on a mission—Tombstone’s mental abilities are occasionally required to interrogate enemies—chances are good that you’ll stick with the usuals like Minute Man, Mentor, and El Diablo. There’s also some multiplayer thrown in, but chances are you’ll be far too busy with the excellent solo campaign to really notice. 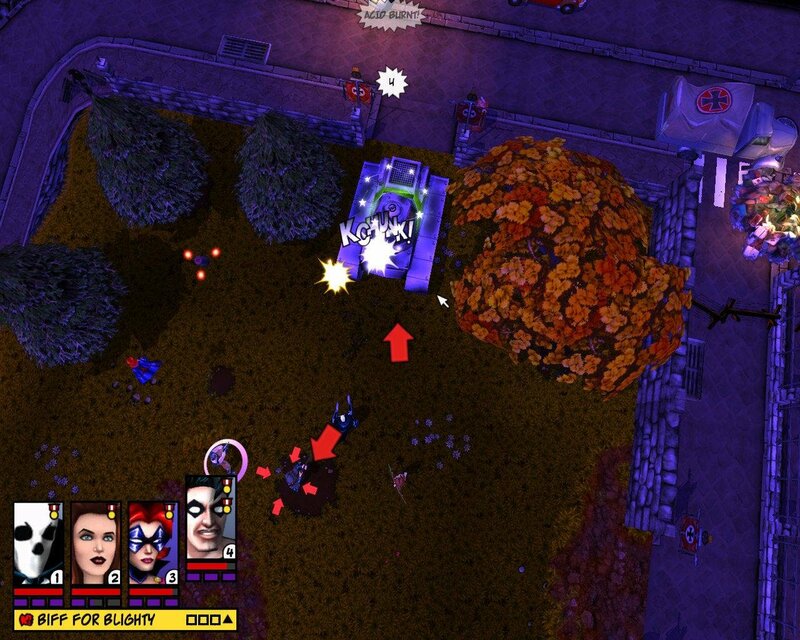 And in the end, who needs multiplayer when the singleplayer campaign in Freedom Force vs. The Third Reich is as fulfilling as spending a rainy afternoon with a stack of Silver Age comics?